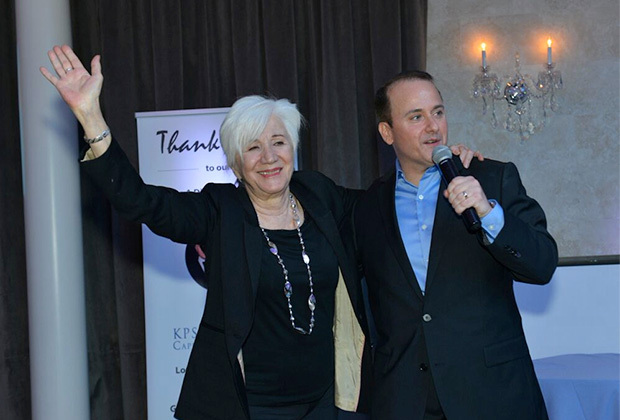 Over 400 guests gathered at the Lake Isle Country Club in Eastchester, NY, for the Make A Difference with Loukoumi Dance Party and Awards Gala in celebration of Loukoumi’s 10th Anniversary! 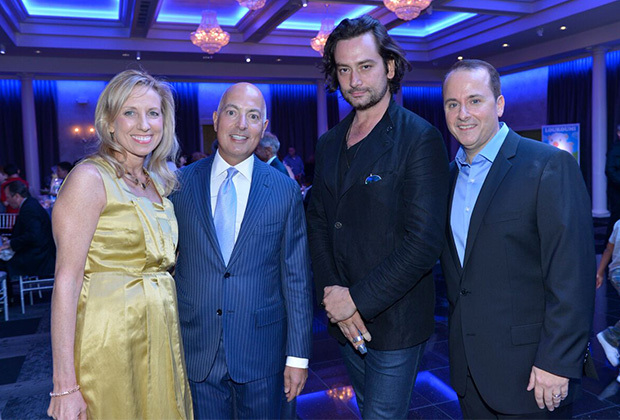 Celebrity Guests included Oscar winner Olympia Dukakis (Moonstruck), Tony Nominee Constantine Maroulis (Rock of Ages), and FOX-5 anchor Nick Gregory. 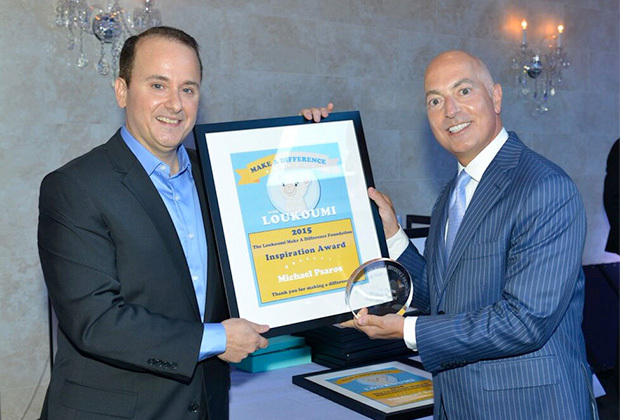 The event honored Purchase resident Michael Psaros, KPS Capital Partners, LP with the inaugural Loukoumi Foundation Inspiration Award. 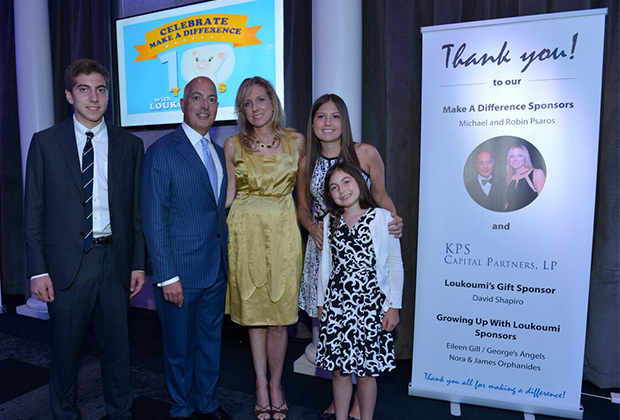 Loukoumi Make A Difference Foundation President, Nick Katsoris, also presented the 1st annual Loukoumi Make A Difference Awards to The National Ladies Philoptochos Society, Eastchester’s Anne Hutchinson School, Bronxville’s Chapel School, EIMAI Center for Emerging Young Leaders and seven great kids whose good deeds truly made a difference last fall on Make A Difference with Loukoumi Day. 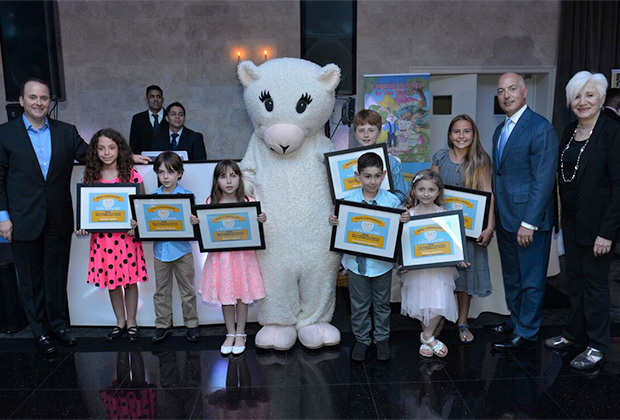 The event also featured the announcement of the winners of the Loukoumi Dream Day contest, where 4 Dream days will happen this year as children get to live a day in their dream career. The Dream Days will be sponsored by Make A Difference sponsors, Michael and Robin Psaros and KPS Capital Partners. Aspiring pediatrician and Anne Hutchinson 5th grader Ava Tsapatsaris is one of the Dream day winners. Bronxville resident Nicole Poulos will also get to spend her dream day as a journalist and Sam Komatreddy from the Bronx, who wants to be an Olympic swimmer, is the third winner. The fourth winner will result from the Loukoumi facebook contest over the summer where facebook fans will get to vote for their favorite student video entries. 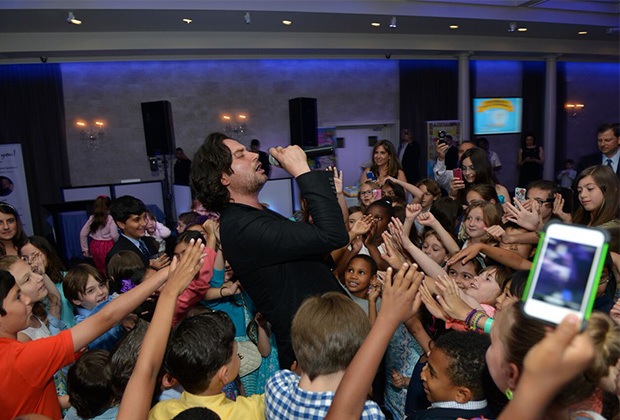 Last year’s Loukoumi Dream Day recipient Sophia Lotto, now in Eastchester Middle School, got to relive her dream day at the event as she sang Don’t Stop Believin’ with Tony Nominee Constantine Maroulis. The duo first sang the song as part of the Make A Difference with Loukoumi TV Special last October when Sophia sang the anthem from the Rock of Ages stage at the Helen Hayes Theatre. 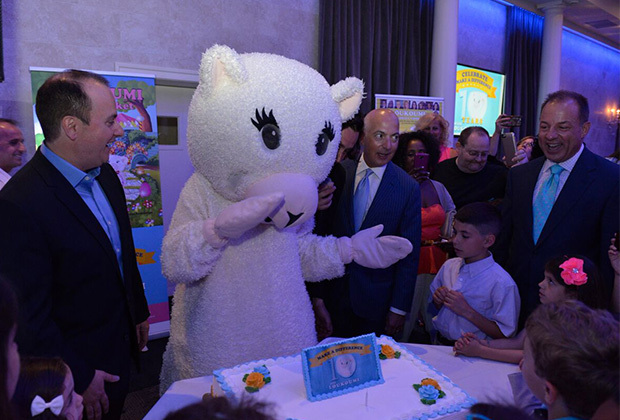 Loukoumi, a fluffy little lamb, is the main character from the award-winning Loukoumi book series by Nick Katsoris, that wants to make the world a better place. The Loukoumi Foundation educates children about career choices, helps them give back to their communities, and teaches them about bullying awareness and prevention in conjunction with Pacer’s National Bullying Prevention Center. The Foundation also teaches children to be philanthropic by engaging them in programs and events where they do good deeds and raise funds for charities. In addition, the Foundation sponsors Dream Day, where it makes a child’s career dreams come true. Some of the children’s dreams the Foundation made come true include playing soccer with New York’s Red Bulls, cooking on television with celebrity chefs Rachael Ray and Cat Cora, sitting inside NASA’s mission control and watching the Phoenix spaceship land on Mars, acting with your favorite actress, a day at the NY Giants Training Camp, and singing on Broadway. Formed with the consent of the New York State Department of Education, The Loukoumi Make a Difference Foundation, Inc. was inspired by the Make a Difference with Loukoumi annual project. 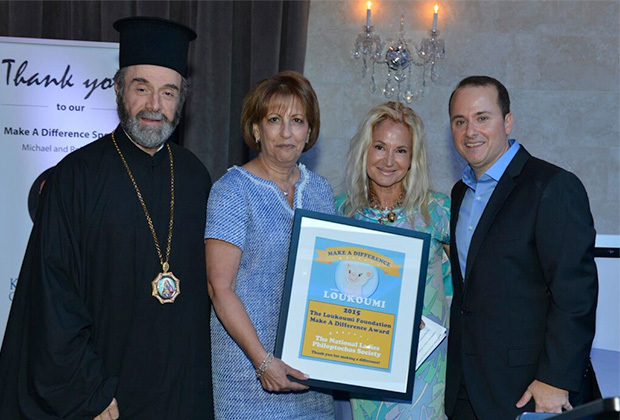 Each year, Make a Difference with Loukoumi unites more than 40,000 children to make a difference through volunteer work or philanthropic activities. The project was honored with a 2014 USA Weekend National Make A Difference Award.